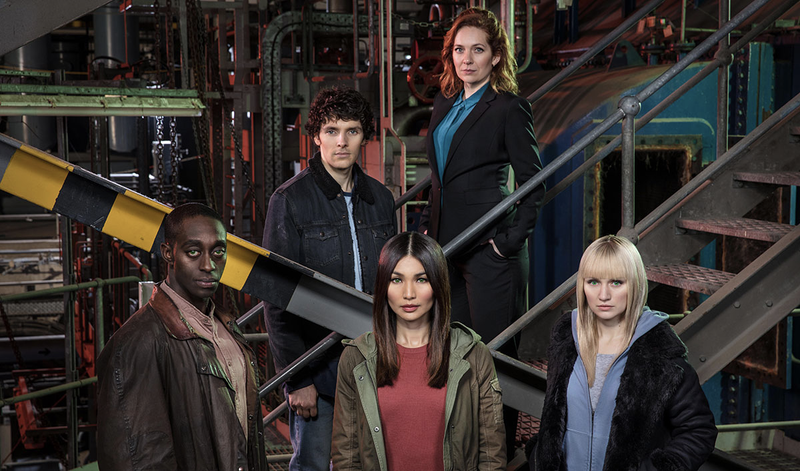 Humans, a collaboration between AMC and the British Channel 4, is back for its third season, conveniently airing a few nights after that other show about robots who gain sentience. But while Westworld is exploring what happens when the bots in Farmville that can be murdered and sexed gain sentience and partake in their own murdering and sexing, Humans is a quieter and more linear affair. With a much bigger body count. Season two of the show, about a world where robots serve the same type of purpose as appliances like your TV or phone, ended with every single robot on the planet gaining sentience at the exact same moment. In last night’s season three premiere, we learned that that didn’t work out well for the humans. Over a hundred thousand people died in a single day due to robot sentience. Some of these deaths were from accidents, but others were from angry bots. Now the human race, as a whole, really hates the synths (shorthand for synthetics), and forces them to live in abandoned factories fashioned as communes, where their access to life-sustaining electricity is limited by the government. The synths are slowing dying off from a lack of resources, which is awful. They’re also having to deal with the new line of orange-eyed synths that have been patched so they cannot gain sentience. And, because it’s easy to tell the conscious synths from the patched ones by their eyes (green and orange, respectively), the conscious synth get to deal with hate crimes too. Bombings. Lynchings. Nasty language and general vitriol directed towards them and humans that ally with them. It’s a bleak existence if you’re a synth. Thankfully Mia, one of the oldest conscious synths, and Laura Hawkins, the synths’ most visible human ally, continue to anchor the show, creating a friendship rooted in their identities as mothers. While the rest of the synths ponder how violent their protests should be, these two women are attempting to take a measured approach, seeing the division between synths and humans as a misunderstanding wrought by bias, and not as a fundamental difference where one must supplant the other. But they’re facing an uphill battle in the season premiere. Mia’s daughter Niska is a victim of a bombing on a synth friendly bar, and has left her human girlfriend to seek vengeance—something Mia hopes to dissuade her from. Meanwhile, Laura is getting crank calls from humans and pondering an offer to join a British government committee convened to “deal with the synth problem.” Laura naturally wants to avoid the committee because it’s entirely anti-synth, but she can’t ignore the fact that if she skips it the synths will have no voice in their future, and will continue to be powerless. This brewing conflict between the two forms of consciousness on Earth seems to be central to the season, and a great reminder that maybe we should all be a little nicer to our phones. Humans airs Tuesday nights on AMC.